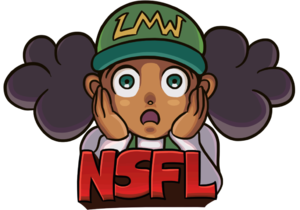 This article has been tagged as NSFL due to its discussion of an assassination. 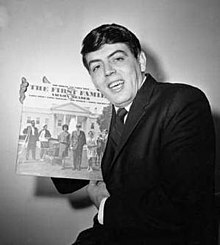 Picture of Vaughn Meader, who usually did comedic impressions of John F. Kennedy. 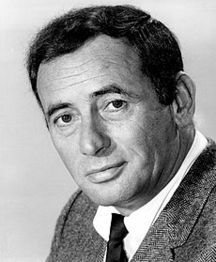 The Joey Bishop Show was a sitcom show created by Joey Bishop that premiered on September 20th, 1961, and ended on March 30th, 1965. It was usually about Joey and his job. He also had problems with his family, who think he has more influence in Hollywood than he actually does. They try to take advantage of his "influence". In Season 3, an episode was filmed that is simply called "#85". It guest starred impressionist and comedian Vaughn Meader. He became famous in the 1960s for his impersonation of then-president John F. Kennedy on his comedy album The First Family. Not much else from the episode is known. On November 22nd, 1963, an exact week after the episode was filmed, then-president Kennedy was shot in Dallas, Texas, by Lee Harvey Oswald. #85 was planned to air in February 1964, but after the news, it was pulled by NBC. JFK's assassination promptly put a quick end to Vaughn Meader's career, as all of the copies of The First Family were pulled off the shelves, as it was considered offensive due to the assassination. The Joey Bishop Show promptly went on hiatus for a few weeks until it returned in early 1964. The tapes of #85 are said to have been destroyed by NBC after the assassination. As such, no copies of the episode are known to exist, no stills of the episode have surfaced and it may very well be lost forever. As for Meader's album, after it was pulled, all unsold copies were destroyed. Not much was heard of it until it was released on CD in 1999. Meader could not find work after this, as he was too closely associated with Kennedy due to his album, and moved back to his hometown in Maine and performed music and managed a pub. Meader died on October 29th, 2004, at 68 years old. 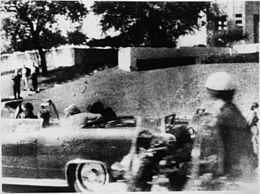 Picture taken a fraction of a second after the shot that killed Kennedy was fired.